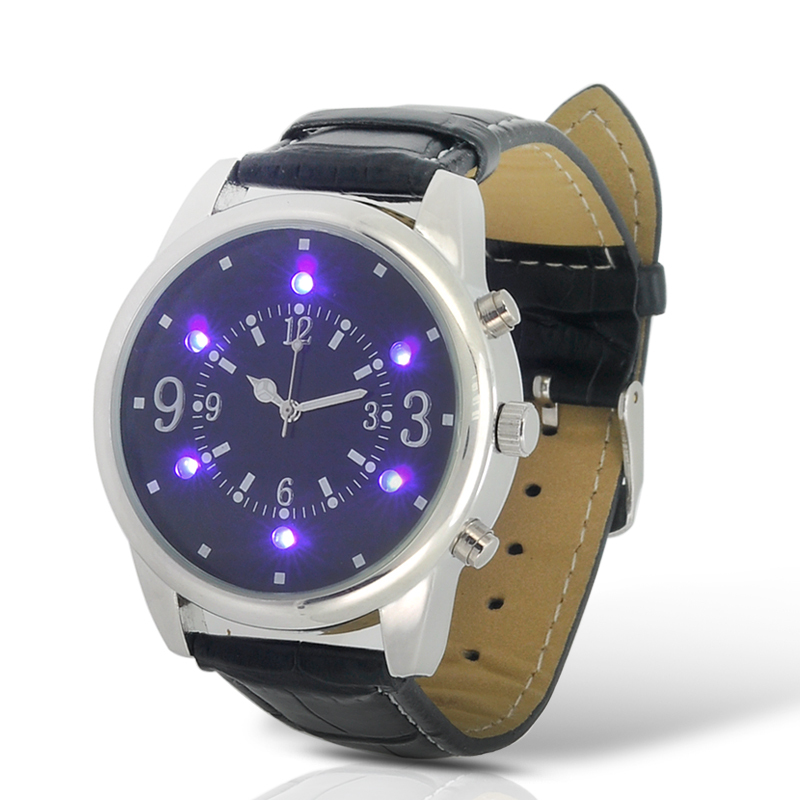 Successfully Added Watch With Built-In Purple LED Lights - Leather Strap, Money Inspection Function to your Shopping Cart. Analog style Watch with Built-In purple LED Light and a high quality Leather Strap comes with the ability to detect fake money while still looking cool. Tell the time in style with this fancy designed watch with a leather strap that uses the traditional buckle type clasp to secure it to your wrist. 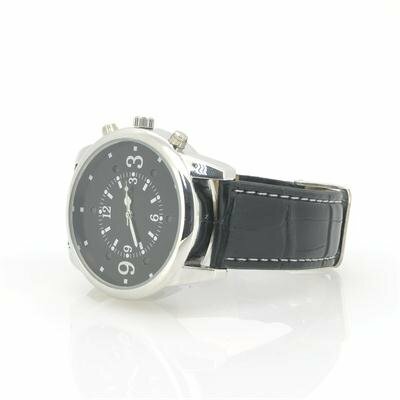 With 7 holes for adjustment, this watch will suit just about anybody but the people who would really find this watch useful is individuals that are involved in the financial or retail industry. The reason people in the financial or retail industry would find this watch useful is because it has 6 LED pieces that project a purple light for detecting if paper currency is fake or not, a smart and quick way to discover if the money you are handling is genuine. The watch is powered by a single CR2016 battery giving it enough life to last a long time, while providing enough light to inspect and detect your money. Using 3 needles, this watch tells you the hour, minute and seconds that can be changed via the adjustable wheel at the side of the watch’s face.